I had the opportunity to work closely with Freeda McHugh on the GLS Ireland sponsorship of Triathlon Ireland. I found her incredibly professional, detail orientated and most importantly flexible. 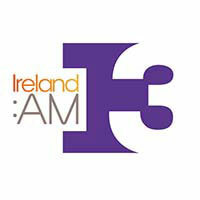 "New Image Communications have a continuous excellent working relationship with TV3". "I have just launched a brand new website designed by New Image Communications. I believe our site is unique and we are thrilled; thank you for doing an amazing job". "The thought of creating a website from scratch was about as daunting as my first driving lesson but Freeda of New Image Communications soon put my mind at ease and, with the technical help and assistance of Catherine, our company now has a brand new user-friendly website which already has shown to be effective in creating more business for us. I would have no hesitation in recommending New Image Communications." "We have been working with Freeda and Catherine for the past couple of years, upgrading and redesigning our websites. They were a pleasure to work with, professional and reliable always provided an excellent service. I would have no hesitation in recommending New Image Communications and I look forward to working with them in the future."